Gary Clark Jr. has spent the better part of a decade figuring out how to translate his guitar into compiling album-length statements. 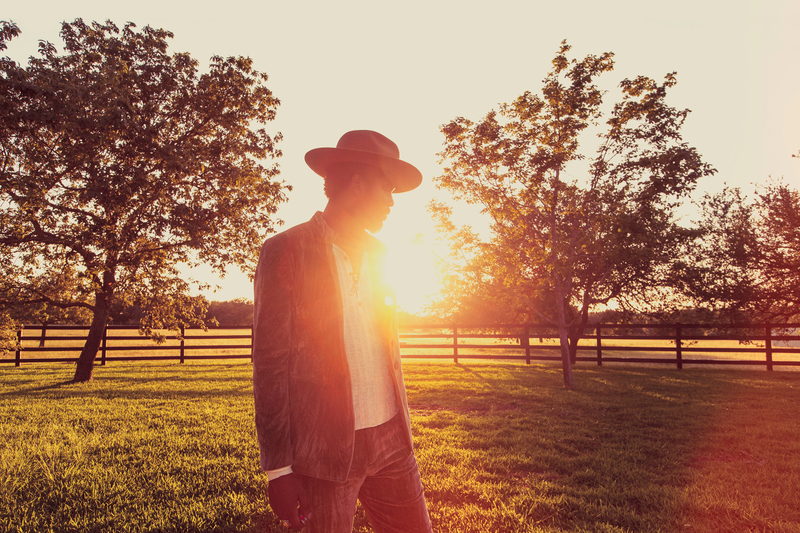 His first two offerings – 2012's Blak and Blu and 2015's The Story of Sonny Boy Slim – were steeped in a sleek, modern blues-rock production style that mostly failed to capture the thrilling dynamics of his live show. Clark's third major label LP, This Land, arrives as an ambitious corrective. This is the first time it's field like the singer-guitarist is embracing the possibilities of studio production as a creative asset rather than a nuisance. In place of copious guitar solos, we get bass synths, keyboards, and a series of programmed samples that add a convincing contemporary accent to the survey of genres (Eighties R&B, funk, rockabilly, punk, reggae) Clark draws from this time. His studio experimentation also led to outpouring of songwriting. At 35, the singer, unencumbered by the musical restraints that once held him back, has never had more to say. "Exploitation wants me to be the same," as it puts it. "I don't want to." There are two dominant narrative threads contained within This Country : one, a collection of private confessionals that meditate on success, marriage and fatherhood; the other, an embittered series of pleas for social justice in which Clark dives into political songwriting in ways he never comes close to before. The laughter group of songs, anchored by the righteously indignant, prog-funk title track and the cautionary speech of "What About Us," is impressive, and these will probably serve as the album's main draw. But it's during the form batch when Clark sounds most himself. On a series of guilt-ridden songs about leaving his family for the road, the Texas guitarist offers moving repentance. Highlights like "Pearl Cadillac" and "Guitar Man" are pop triumphs, full of desire and redemption, which split the difference between Miguel, Prince and Stevie Wonder. Elsewhere, though, Clark's approach to songcraft remains a relative work-in-progress. There are moments of heightened emotional depth, like when he declares, "I walk alone because 'alone" won't say I'm sorry. "But as a songwriter, Clark is still prone to clunky cliché (" You got me feeling like a million bucks / Make me want to fall in love ”). On the Marvin Gaye "Feed the Babies," his social commentary simply feels trite: "The world is my buffet," Clark sings about a light funk groove, "and I'm just looking to eat." 7 tracks, This Land feels packed with too many ideas, only some of them landing. At its best, though, is Clark's album points to a new way forward. It's a crucial stride for an artist who's long been searching for direction.